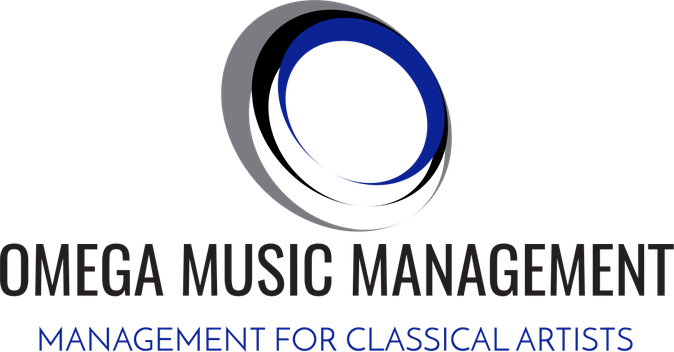 OMEGA MUSIC MANAGEMENT is a new European artists management agency, which was founded in the autumn of 2018. We are working in the field of opera and classical music. Our aim is to support opera singers' careers, conductors, stage directors and ensembles and to create as many job opportunities as possible. Our team consists of experienced professionals, that understands the needs of the artists and has the knowledge and tools to provide them with the best possible support in their careers. OMEGA MUSIC MANAGEMENT collaborates with one of the most renowned artists nowadays! However, we also want to encourage young talents on their way! That is why we are happy to launch our Young Artists Roster for opera singers up to the age ot 32 years. Our team speaks English, German, Italian, Russian, Polish and Bulgarian. AUDITIONS FOR OUR AGENCY We are scheduling auditions for our roster. Contact us and send your materials on info@omegamusicmanagement.com We will inform you about the next possible dates.